I thought Billies version of ”I’ll Be Seeing You” would be a honorable soundtrack to this post about how many lifes we lost during world war II. 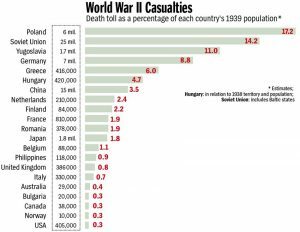 This is how many people each country lost during world war II. Some staggering numbers. The song became an anthem for British and American soldiers serving overseas and was recorded by basically everybody. To somehow dedicate this to the people, especially civilians who died in that war seems like the proper thing to do. So many people died in that war. More than in any other conflict up to date. 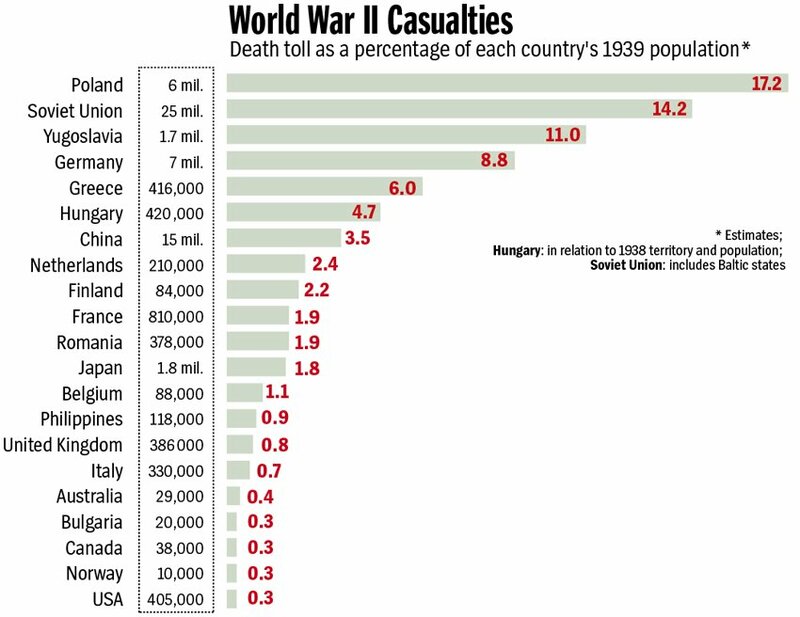 Compared to other conflicts we lost most people during World war II than any other. 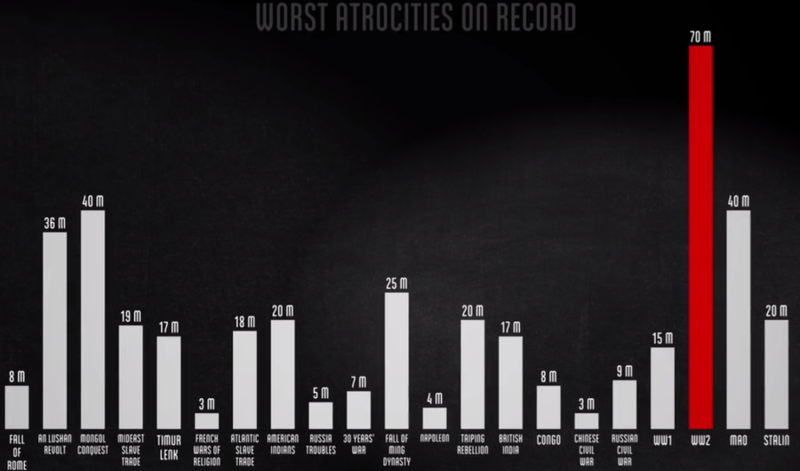 In the graphics you can see all of them in numbers, by nation and compered to other conflicts. It’s some staggering numbers. Almost 20% of the Polish people, gone. Over 70 million people in total, gone. 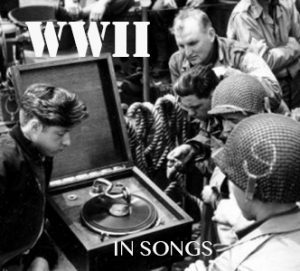 This post was written inspired by all the research I did for the playlist ”World War II in Songs”. Read more about other songs here and use this link to hear the music.